You don't need to scrap your old car wash building. Our conversion uses the old structure and adds new equipment for better processing. Wash cars better and faster. Our conveyor makes loading easy and our cleaning equipment modules provide a fantastic wash.
Every conversion we do is carefully thought out and customized to perfectly fit your needs and create a wash with the best possible potential. Traditional inbay car washes have poor processing speeds and offer limited services. 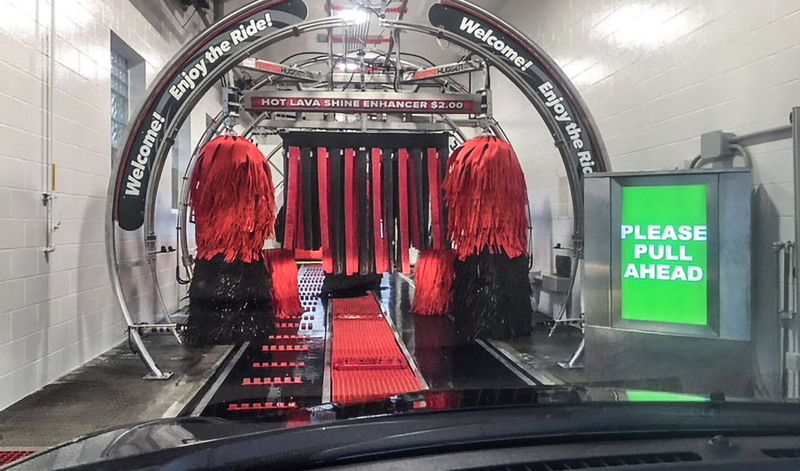 Our conversion retrofits these buildings with modern car wash equipment including a Tommy Transporter Dual Belt Conveyor, Self-Loading Entrance Module, All-In-One Clean Combo, and dryer arches. The flooring from the old wash is removed and set aside, replaced with a Tommy Transporter Dual Belt Conveyor and loading system. Next, arch equipment including a Triple Presoak Arch, All-In-One Clean Combo Module, and high power blowers are installed. Backroom systems (hydraulics and pumps) are upgraded and retrofitted as necessary. We offer a variety of pay station modules able to accept tokens, coins, cash, and credit cards to maximize your earnings. Our systems can also be connected to your pump stations for on-site gas/wash combo discounts. Our conversions include a fully automated self-loading system that helps to eliminate customer error and guide customers onto the belt. A weatherproof TV provides instructions and your staff is alerted when problems do occur, making this the perfect system for a convenience store environment. The Tommy Transporter Dual Belt Conveyor makes loading easy. Customers need only move forward onto the wide tracks and shift to neural as they are carried through the wash. Potential damage from wheel turning, braking, or parking is minimized. 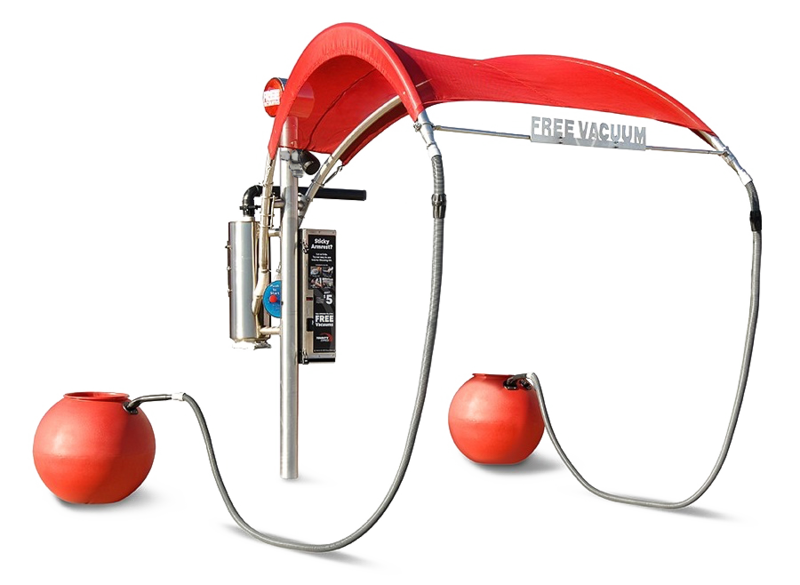 Our standard arrangement includes an All-in-One Clean Combo with reverse rotation side brushes, circulating mitters, rocker brushers, and wrap brushes in addition to a Triple Presoak Arch, Hanging Rinse Manifold, and a blower arch for final drying. This automated and conveyorized friction setup cleans far faster and better than your average inbay wash system.